People and companies want to buy from businesses that make it simple and easy and sellers want to close deals fast. Contract documents affect both of these areas – the perception of being easy to work with and the speed it takes to execute a contract. IACCM offers an analysis of your contracts by knowledgeable and innovative thinkers in the world of contracts. This service evaluates your contract templates to demonstrate to your clients, stakeholders and vendors that your agreements have been objectively assessed for appropriateness and ease of use. Through various market tests, IACCM has found that the most effective contracts enhance the users' performance in finding and understanding information which in turn elicits a positive experiential reaction. These contracts contain plain and clear language, a concise approach, an easy to follow structure and helpful reading aids. Watch the video below to find out why Shell have been recognised for their work innovating the commercial process. Analyse content and recommend design treatment of different types of content. Content can generally be divided into contract actions and background legal. Contract actions set out practical arrangements for ordering, paying, insuring, delivery and quality measurement. Background legal deal with less common contingencies and legal positions. The action clauses need to be understood and acted upon in order to successfully operate the contract, while the legal framework has fewer occasions of use and a specialist audience. Recommend diagram types to visualize clauses. Discuss the analysis and design concepts. Develop artwork for the visualizations and lay out pages. The price for the assessment that includes the evaluation and feedback is based upon the size and number of documents in the evaluation. The minimum cost is $3000 for evaluation and feedback for one template of up to 10 pages in 11 pt font, and indicatively, the charge for larger documents increases by approximately $1,500 for each 10 pages to be reviewed. IACCM will provide a proposal for your contract template that reflects the number and complexity of documents that requires your approval prior to commencing the assessment. Accordingly, IACCM will need a soft copy of the final version of the contract template or group of templates to be assessed. We will also need to know if there are any associated documents (e.g., service level agreements, product descriptions, etc.) that are typically referenced or attached in the agreement and copies of these ancillary documents may be required. It is widely acknowledged that contracts are critical business instruments, however they are often written in anticipation of litigation. Yet those responsible for drafting contracts are rarely the people responsible for delivering the anticipated outcome, so we have to optimize contract documentation for the true user community. 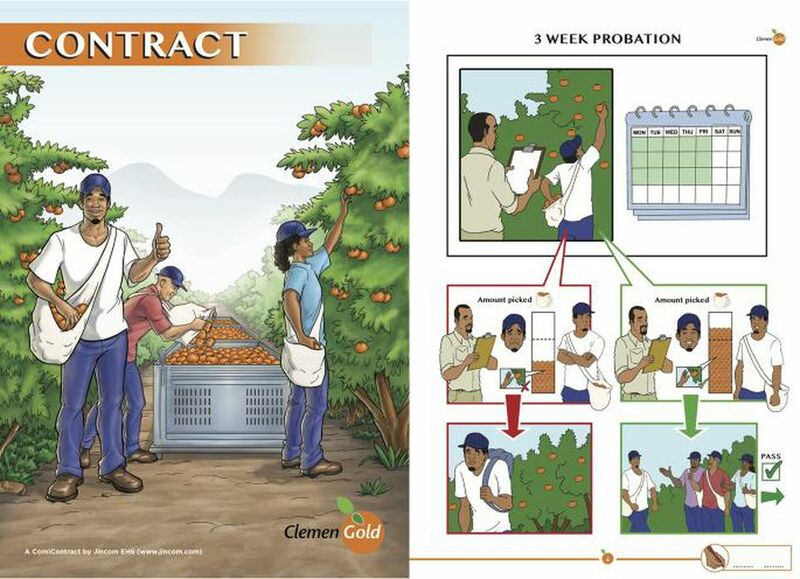 The comic contract depicted below may not be suitable for everyone but illustrates the need for sensitivity to those who will be signatories or users of the contract. There are many alternatives to the extremes of 'the contract for lawyers' and 'the contract for users'.